1. Legislation to repeal the ACA (Obamacare) has been withdrawn signalling contretemps to the President’s first major move on his election promises. Obamacare stands unaltered to the delight of the Democrats now. President Donald Trump’s ultimatum to House Republicans on the new Healthcare Bill – either support or lose the opportunity by Friday – also signals the strength of his deal making ability on the wane with this retreat. 2. Medicaid costs for New York counties to be shifted to the State according to a new provision in Healthcare Bill. 3. Visitors entering U.S.A. will undergo new security checks before obtaining a visa – be it a tourist, a business traveller, or relatives of American residents. “Extreme Vetting” promised by the President gathers steam. Secretary of State, Rex Tillerson, has instructed this to all Consular Officials through diplomatic cables. 4. Bomb threats to Jewish Community Centers across the U.S.A. by Israeli-American teenager and his arrest happened on Thursday. 5. U.S.A. bars devices bigger than a cellphone on American bound foreign flights from 8 majority Muslim countries. This is to ensure foreign airport security, not influenced by any specific or credible threat of an imminent attack. 6. 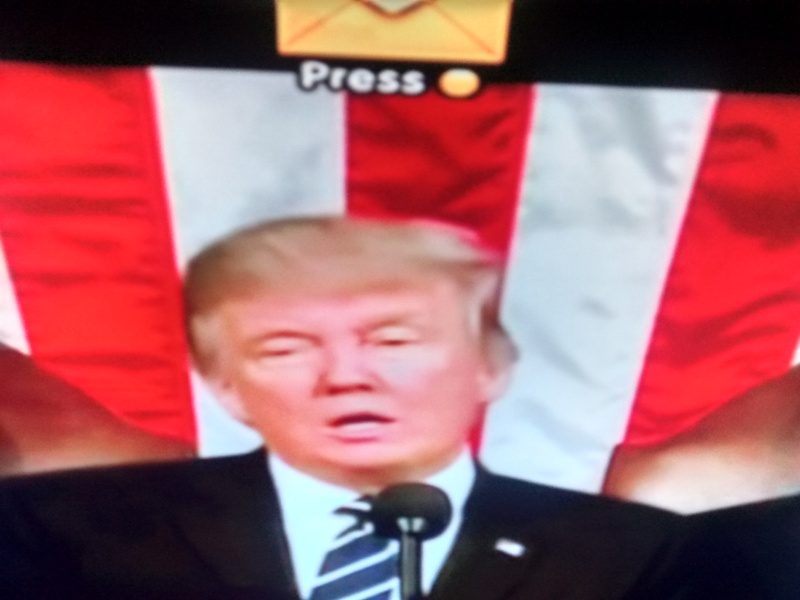 Continuation of strategy of the two earlier Presidents is evident in President Donald Trump’s action on ‘training and support’ to the local forces in fighting their wars, and not deploying US ground forces for now in countries outside. 7. Renegotiate trade deals; clamp down on illegal immigration; keep terrorists out of the country – to be actively pursued. 8. Iraq PM, Haider-al-Abadi, said he was happy with the meeting ( with President Donald Trump) asserting that the new administration had assured him of expansion of support to Iraq. 9. With President Donald Trump’s assertion of wiretapping not ceasing, it seems to have given way to discussions on potential for intrusion of privacy by spy agencies. 10. FBI Director, James B Comey, confirmed the existence of investigation at the House Intelligence Committee’s first public hearing on Russian meddling in 2016 Presidential Election. 11. Neil Gorsuch, SC nominee, stays firm in his commitment to the rules of law in his confirmation hearing. 12. President Donald Trump’s “America First” trade agenda received a boost at G-20 this week. Globalisation vs protectionism was the chief discussion. Treasury Secretary, Steve Mnuchin, stood strongly in favor of President’s election campaign speeches on US’s bad deals, specially with China, its huge trade surplus with U.S.A. While Germany and China stood for existing rules-based order, US delegation stood for “fair” trade without much details. France, Italy, U.K., Brazil, and even many in EU supported U.S. position. Previous G-20 commitments do not stand renewed now. Reduce global imbalances, promote greater inclusiveness andcfairness, and reduce inequality in pursuit of economic growth. A potential “win” for President Donald Trump here. President Donald Trump’s “political product” can now be best identified with the reversal of Barack Obama’s Programs. 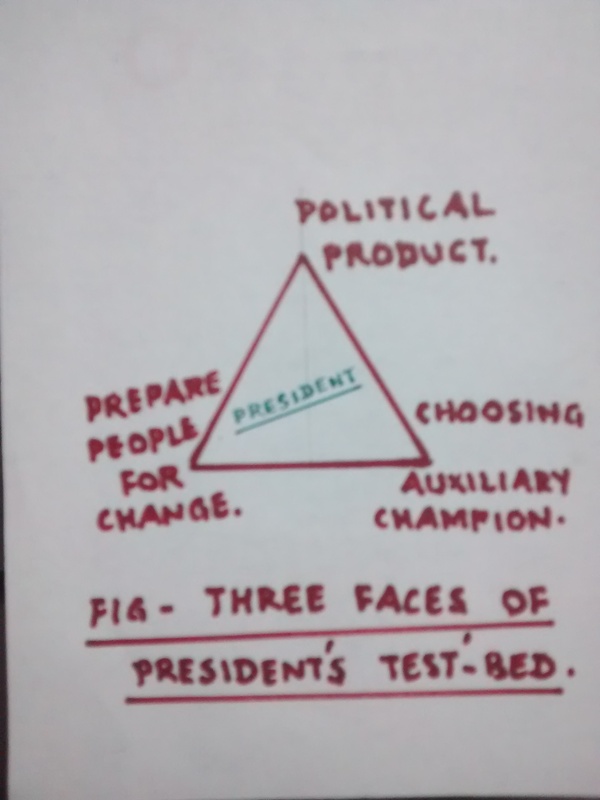 Good or bad; Correct or incorrect; Feasible or infeasible; – President’s success in this course can be a reality only when there is a big change in the ‘thinking’ of people. The market for President Donald Trump’s “Product” can at best be described as ‘unwelcome’ now. ( e.g. withdrawl of healthcare bill, Utah republicans embracing openly the Obamacare with confidence and conviction .. ). When this happens, things turn more difficult with his other ideas/actions. This is becoming visible now. Donald Trump started with promises accompanying little details, but at the right moment during the election campaign that ran in good parallel with the changing mood of people. It was like providing an excellent ambience with satisfying amenities in business while attracting extra footprints and customers holding on in support of the “product”. That was acushla for many, and bete noire for others. The general feeling was that he cared for them in addition to being empathetic. This perception is changing slowly and steadily now. President Donald Trump’s direction, style, and speed of actions now have been forceful and decisive; but his style is not perceived as being inclusive by a majority. He also indulges and delights in throwaway comments/observations on twitter ( at least as perceived by many ) which invites interpretations in every observer’s way. ” Eye of the Beholder!” Supporters get excited and emboldened; critics feel annoyed and abused. President Donald Trump probably gives a local/national feel but such an aspect will only remain transient in the absence of definitive and detailed improvements in actions. This is a serious challenge. Specially since the last week of February, President Donald Trump’s focus seems more on the legitimacy and support for his government, quite understandable from the point of any new government with a totally new political force wielding the sceptre. Mistakes, even in millions, will be normal, against an intimidating political environment. 1. “Preparing people for a ‘change’ ” – It is like bringing about a novel transition to full effect. For this to be realised, every idea of his has to be analysed in terms of what it would mean and take to give effect, and how best it can fit with the vision of the President i.e. “Make America Great Again”. ( Tax reform vs Growth; Immigration regulations vs Safety & Security; Trade deals vs Jobs & Prosperity; Healthcare reform vs Affordability & better choice; Reducing government vs Delivering efficient service; … ). President’s intentions of the moves taken are not in doubt, but the celerity of the moves coupled with the hurdles needed to cross seem to make it harder now than ever before. 2. President’s need for an ” Auxiliary Champion” who can complement his stature as the “Ceremonious and Unconventional Champion” : While the White House Chief of Staff, adviser, counsellor, and others may be doing their jobs commendably, the “auxiliary champipn” is the center with others in his span of control performing tasks as varied as : (a) Effective dissemination of programs and communication to people; (b) Identification of issues on ground and projecting them to the team; (c) Gathering and forwarding effective feedback to the leader; (d) Identifying resistance to programs and ways to combat them; (e) Training effective users of programs as examples for public projection; (f) Developing key milestones and schedules for actions to programs. Howsoever charismatic, influential, and change-centric the “ceremonious leader” can be, it is definitely an added virtue to have an “auxiliary champion” help project the ceremonious leader as a role- model that people should feel proud to follow. Actions need to match words too. Can President Donald Trump change his “product” ? No, I guess. Can President Donald Trump change Peoples’ thinking in his favor? Possible, but without any guarantee at this juncture. Can President Donald Trump identify an “auxiliary champion” with excellent support ? Possible, but without any guarantee at this juncture. To conclude : President Donald Trump does not fear criticism. Will President Donald Trump’s actions spell the ‘whims of great’ ? We’ll have to wait to see. Tidbit : ” The human race has improved everything except the human race ” – Adlai Stevenson.